Ah, the cold call. You know the drill: You dial. They answer. They (probably) hang up. While we can’t keep people from hanging up on you, we can make it much easier to dial for dollars: what if you didn’t actually have to pick up the phone to call? What if you could look at your database of leads and call or text right from your laptop/desktop with just a click of your mouse? Well, you can! With MagHub and Twilio. And you never need to leave the MagHub platform to do so because of the MagHub/Twilio API integration. You start by searching your contact list in MagHub. You can create cold call campaigns and then assign them to yourself or others in your publishing enterprise. You can even break those calls up and make them over a few days or so. To make the calls you need to connect to Twilio and make the calls/texts from your site. 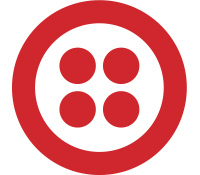 Twilio allows you to click-to-dial your contacts, record the call and take notes. You make the call by simply clicking on the phone icon next to your contact’s information. We expect our Twilio integration to be around for quite some time: the company recently acquired the email API platform SendGrid. If you’re already a MagHub user and we’ve piqued your interest in cold calling with the click of a mouse, reach out to your representative here. And if you’re not a MagHub user? You know the drill: contact us!